The festivities have begun! And the next stop is Thanksgiving. Each one of us is eagerly awaiting this fun-filled extravaganza as we begin the preparations. While Thanksgiving dinner is the most integral aspect of the celebration, there are other things as well which one needs to take care of if you are the host of the party. Read Your Thanksgiving Horoscope Here! We all know that the Thanksgiving dinner table should look lavish, tempting and delicious. But, there is one more thing which is equally important if you want to give a beautiful and festive vibe to your celebrations - home decoration. So, you take care of the Thanksgiving Dishes and let us give you some affordable and easy decor ideas to sort your home decoration blues. 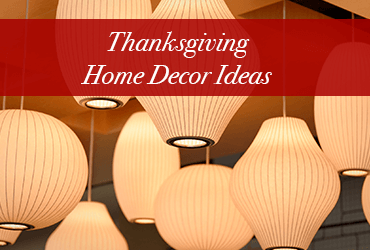 Take a look at some easy decoration tips and ideas and give your home a Thanksgiving-y and festive vibe. Put a message board right at the entrance of your home. Take a frame and decorate it with autumn leaves and heart-shaped message cards. Ask every guest of yours to leave a thankful message on your board. You can also put a Give Thanks banner on top of it. Let the cliche flower wreath give way to something unique and much more affordable. Decorate your door with cranberries this season. You can easily get a wreath of cranberries prepared and simply hang it at your door. And the best part, you can later use these cranberries to make a delicious treat for yourself. Need some insight into your holidays? 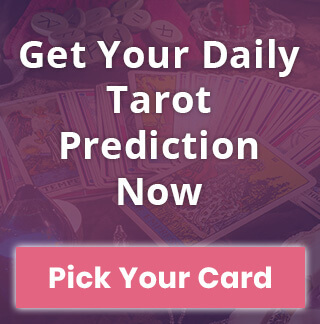 Read your Daily Horoscope Here! Go a little creative and quirky this time with your candle decoration. Use colored and scented candles and put it in every nook and corner of your home. Another idea is decorating with a Pumpkin candle holder. Take out your old candle holders or maybe get some inexpensive ones and decorate them with white or golden pumpkins. Create a tray with nuts, leaves, and pinecones and put beautifully cards on the same with personalized messages on the same. You can later give these cards to your guests. It is a personal and unique way to say thanks. No home decoration is complete without flowers. This Thanksgiving, try and give a twist to the characteristic floral decor. Put beautifully colored flowers in glass bottles. You can also use colored glass bottles to give your home a more vibrant touch. Another idea is hanging small glass vases with flowers. You can decorate your dinner table or different corners of your home with the various hues of autumn. "Use pine cones, nuts, leaves and flowers and paint your home with the beautiful autumn colors". Not only is this idea inexpensive but it will also save your time as it would not require much effort. Use cloche to make creative centerpieces for your dinner table. You can use it to keep white small pumpkins, wheat bundles, and homemade rolls. You can also put some decorative candles, flowers and delicious fruits on the table. It will surely give a colorful vibe to your dinner table. Want 2019 to be best year ever? 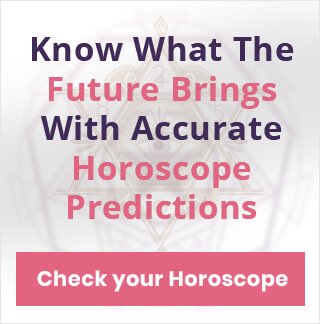 Start prepping now with your 2019 Horoscope! A Thanksgiving soiree is always packed with fun, laughter and conversations. A luscious dinner with such an elegant decoration will surely make this festival a memorable one for you and your family. Is there any other decor idea that comes to your mind? Do share your thoughts with us in the comment section below.